New to Heritage House Jewellers line of products available in stock. 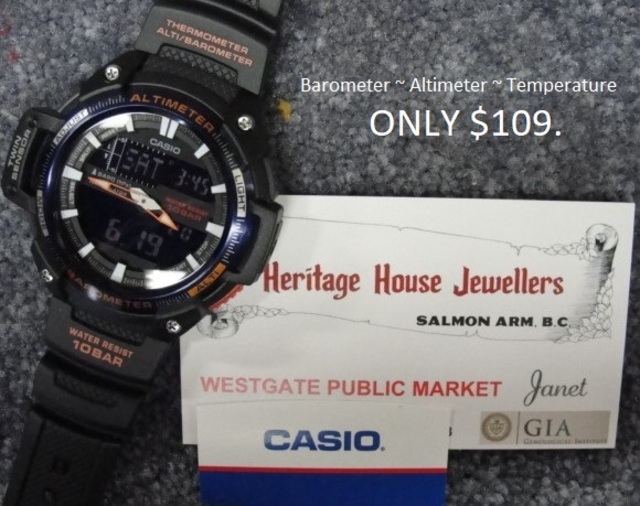 Casio watches are durable, technical and at a price that's not hard on the pocket book for features including Altimeters, Barometer, Temperature, Stop watch Counting, Timers and alarms. Oh and they do tell the time with backlight on all models.